Ihor Kolomoysky, a Ukrainian oligarch and friend of the Obama White House (he is the employer of U.S. Vice President Joe Biden’s son Hunter Biden), has now been reprimanded by America’s own Ambassador in Ukraine, after he had used physical force in a corporate dispute. Kolomoysky (whose net worth is estimated at $3-$6 billion) is famous for his corporate-takeover tactic of storming a target-company’s headquarters with his private army and ousting the current management at gunpoint — and replacing them with his own team. 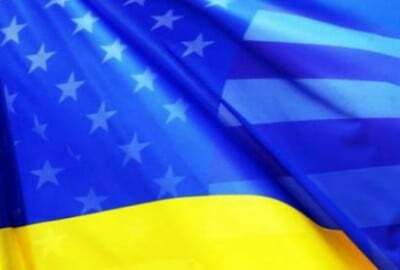 America’s Ambassador to Ukraine, Geoffrey Pyatt, has now informed him, in no uncertain terms, that “the law of the jungle” must end in Ukraine. Here is Ambassador Pyatt, as he had been heard 18 days before the coup, taking instructions from Victoria Nuland of the U.S. State Department, regarding whom to get appointed to lead Ukraine after the U.S-run coup would be completed. The selected person did end up receiving that appointment. So: Ambassador Pyatt’s statements are taken very seriously by Ukrainian Government officials. However, Kolomoysky is also a politically respected figure in Ukraine: He is a leader, and the top financial backer, of the hard-right bloc in the Ukrainian parliament, which favors a more aggressive pursuit of the civil war against the residents of the Donbass region, who have established two “People’s Republics” there. He also finances several armed battalions in that war. The latest dust-up with Kolomoysky started when the Administration of Ukraine’s President Petro Poroshenko, who is a political opponent of Kolomoysky (Kolomoysky has even gone so far as to say, “I will never obey Poroshenko” and “My army will finish the separatists”), replaced the Chairman of Ukrtransnafta, the company that has a monopoly on oil-transportation in Ukraine, and in which Kolomoysky is a minority shareholder but has controlled the board until now. The Ukrainian Government is the majority-owner, and on March 19th they replaced Kolomoysky’s Chairman, Aleksandr Lazorko, with President Poroshenko’s choice, Yuri Miroshnik. That evening, this photo was taken and shown on Russian Television, of Kolomoysky’s armed ‘lawyers’ entering the facility to persuade Poroshenko’s officials not to follow through with this. Vladimir Demchishin, the Energy Minister of Ukraine, was outraged. He said, on Thursday evening, that Kolomoysky’s ‘lawyers’ who were then occupying the company’s office, would likely spend the night there “burning the financial documents” — destroying legal evidence. One of the reasons why Poroshenko’s team had made this executive change unannounced was that there have been allegations that another Kolomoysky company, an oil-storage concern, has been systematically stealing from Ukrtransnafta some of the oil it stores. According to one account: in May 2014, Ukrtransnafta, on their own initiative, pumped from the main oil pipelines more than 670 thousand tons of technological oil. If there has now been a burning of financial documents (and someone did report the smell of kerosene on the entering ‘lawyers’), then perhaps even an honest investigation (which would be a rarity in Ukraine) would be inconclusive. Sergey Leshchenko, a parliamentarian from the bloc of President Poroshenko, condemned the action by Kolomoysky: “The Governor [Kolomoysky was appointed as one of the regional governors when Yanukovych was overthrown] should not have crossed that line. An armed seizure of a state-run company in the center of Kiev is a personal challenge to Poroshenko, his legitimacy.” He continued, “I pin my hopes on the West” to see that justice is done in the matter.